The Jharkhand government is reportedly in a round of discussion with the Union ministry of health and family welfare for having a state-centre of All India Institute of Medical Sciences (AIIMS). The discussion between the state health minister Ramchandra Chandravanshi and the Union health minister J P Nadda has recently been doing rounds as the annual budget is to be announced soon. 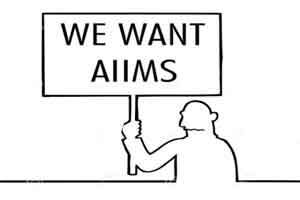 The state govt is urging the ministry to set aside an allocated amount for AIIMS in the state. Speaking to TOI on Monday, Chandravanshi said the Centre has agreed in principle for making budgetary provisions for the same. The minister said he was more than certain that AIIMS regional centre will be announced this time. This allotment of AIIMS regional centre will be an addition to the already proposed sites for the institute in Jammu and Kashmir, Andhra Pradesh, Tamil Nadu, Himachal Pradesh and Maharashtra in the 2015 Budget. At present, six AIIMS regional centres are being set up at Bhopal, Bhubaneswar, Jodhpur, Patna, Raipur and Rishikesh in the first phase of the Pradhan Mantri Swasthya Suraksha Yojana (PMSSY). In the second phase, two more regional centres have been approved in Kalyani in West Bengal and Rae Bareilly in Uttar Pradesh.